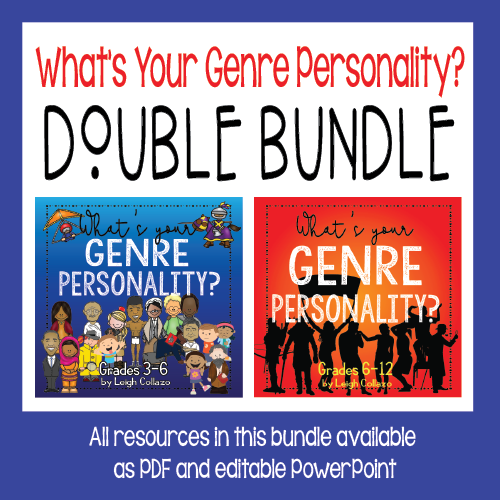 The "What's Your Genre Personality?" Quiz has been a huge success in my own school, and I have gotten lots of positive feedback from other librarians who have used it. 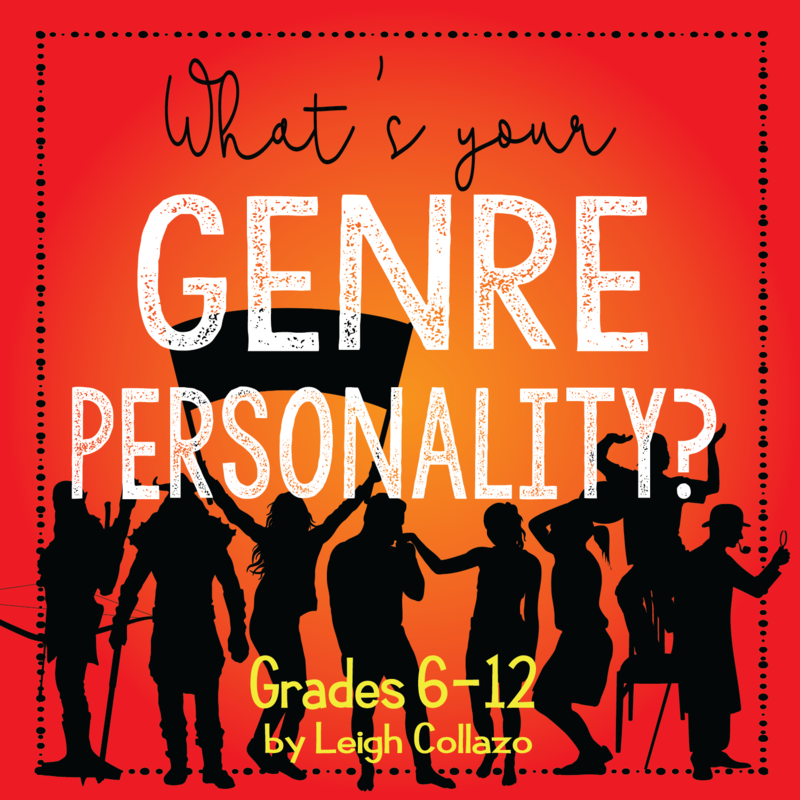 The quiz is a series of questions designed to determine students' genre personalities. 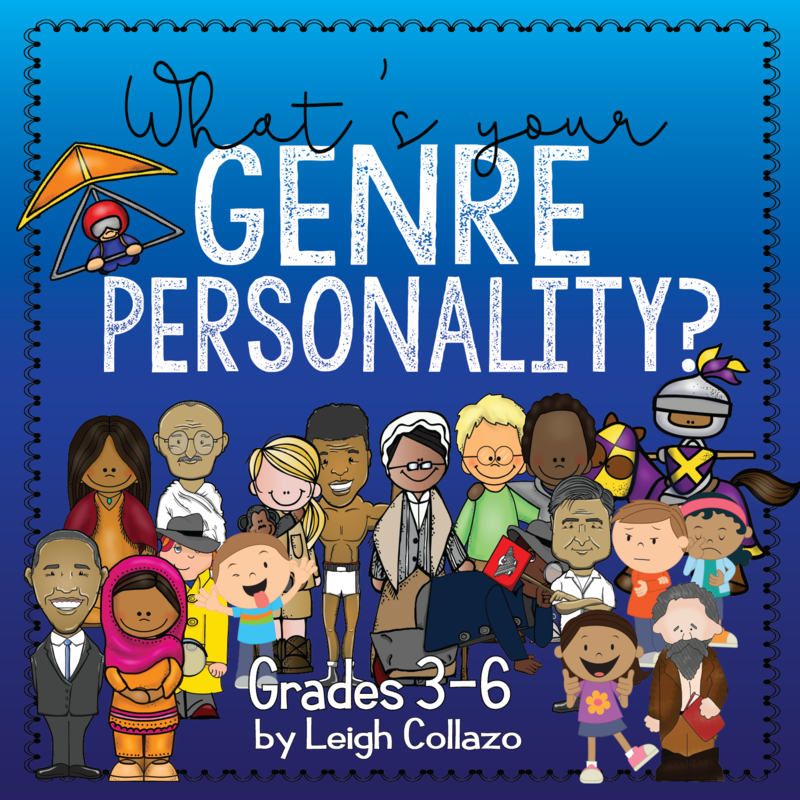 The nine genre personalities are based on real students I've had in my libraries over the past 13 years. Over and over, when I give my students this quiz, they are shocked at how accurate the descriptions are. Since there is much more to each personality than the descriptions suggest, I decided to do a more detailed profile for each of the eight personalities. So without further ado, I give you...The Escapist. The Escapist is based on Tony. Though he was not formally diagnosed, I suspect Tony is on the autism spectrum. Incredibly bright, Tony knew a LOT of facts, but his teachers often complained that he was reading during class instead of paying attention or doing his classwork. As a result, Tony's grades did not come close to reflecting his intelligence. I rarely saw Tony interacting with other students. He regularly checked out 400+ page fantasy novels, returning the very next day for the sequel. Our High Fantasy section had over 900 titles, and it would not surprise me if Tony had read every one of them. Tony read some books, such as Cinda Williams Chima's The Demon King and Joseph Delaney's The Ranger's Apprentice series, more than once. He could often be seen walking down the hallway, with his nose in a book, completely oblivious to the students around him as he walked down the hall. The Escapist is also Benjamin. Like Tony, Benjamin was a quiet, soft-spoken student. Benjamin was serious and didn't smile very much. He worried about his grades and homework a lot, but I never really understood why. Though he got good grades, he always worried he was on the brink of failure. He would say he didn't understand a concept and say his test was "so hard," but then he would get an A on it. Instead of rejoicing in that A, he would downplay it and move on to worrying about the next test. Benjamin worked in the library for a semester, and he told me more than once that it was the best part of his day. I'm positive this was mainly due to the fact that I let him read and study at the circulation desk. My student library assistants were each assigned genre shelves to keep clean and in order, and Benjamin was assigned to the High Fantasy section. He hated seeing series books out of order and quickly fixed any mis-shelved series books every day. Benjamin got along with everyone, but he had only one close friend. If you were to talk to Benjamin on the phone, you would think you were speaking to an adult. He was an observant, deep-thinker who didn't say much but could be incredibly insightful. The Escapist is Sam. I first met Sam when she was in fifth grade. Her elementary librarian had called me and requested that Sam be allowed to check out from the middle school. She had read all the fantasy books in the elementary school, many more than once, and the librarian recommended she try the middle school. Sam's mother started bringing her by my library regularly, and I allowed an enthusiastic Sam to checkout as many books as she could carry. Sam's mother was a special lady who really understood Sam's need to read, read, read, and we developed a friendship before Sam attended my school and after she moved on to the high school. I think Sam's mother is a lot like Sam and understood her well because of it. Like Benjamin, Sam also worked as a student library assistant when she got to eighth grade, and she planned to become a librarian one day. I have no doubt she will do just that; her library patrons will be lucky to have her. Like Benjamin, Sam was very observant. She did have some close friends, but again, she tended to prefer the company of bookish adults. Tony, Benjamin, and Sam all had several things in common. All three read voraciously. All three were among the smartest students I've ever worked with. All three loved to talk about their books, but only with people they knew would understand their love for the characters and the story. All three were soft-spoken, introverted students who accepted that they were different from their peers. Two of the three worked in the library as eighth grade library assistants. Escapists hold a special place in my heart because so many of them are quiet students who have very few close friends. They find sanctuary in the library and when given free time, will head to the library every time. In my experience, Escapists relate well to bookish adults and will often seek out these adults as mentors or confidants. 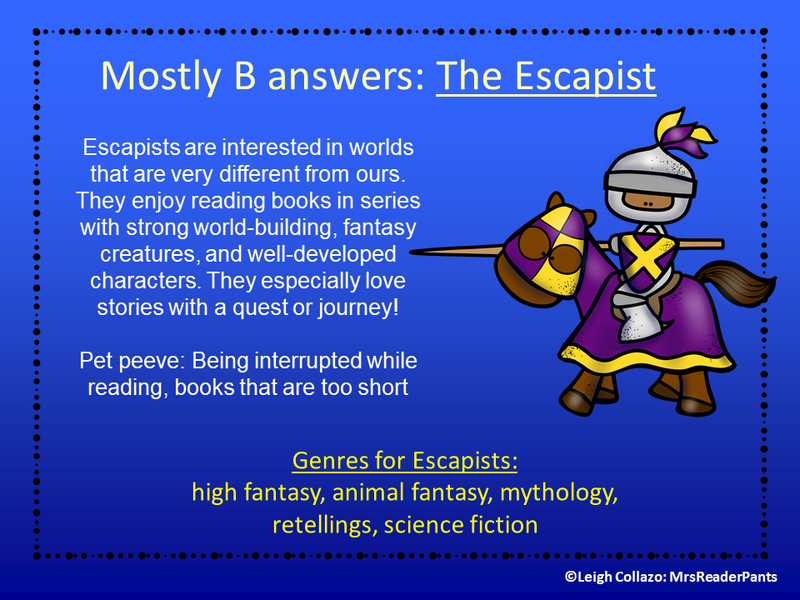 It is likely that the school librarian or a teacher who loves reading will be an important adult in the Escapist's life. If you are this person, you have the potential to make a tremendous impact on the lives of these students. They enjoy your company. They look up to you. They will remember you. 2. Use more advanced vocabulary. Escapists read a lot of rich, imaginative literature, and you can bet they have a rich vocabulary to go along with it. Do not talk down to them. They may be young and still in school, but they will appreciate adults who speak to them as an intellectual equal. Escapists are doing just that--escaping their world. For some, they just like the temporary field trip away from reality. But in my experience, some Escapists are dealing with difficult life circumstances. Something is overwhelming them, and they probably won't tell you what. Rather, they deal with whatever it is by immersing themselves in another world entirely. 4. Please, please do not punish them by taking away their books. My heart sinks every time I hear a frustrated Escapist parent tell me that they have "grounded their child from books." Escapists need their books like they need air. I understand that it's difficult to punish a child who does not respond to traditional grounding. Taking away an Escapist's cell phone or TV or social privileges isn't effective--I get that. But when you ground your Escapist from books, you are taking away their everything. And I promise you, they will find a way to read anyway. Instead, focus on rewarding positive behavior and choose your battles carefully. As I said before, Escapists like to be treated as intellectual equals. No, they are not equal to their parents or teachers, but taking away their books will only alienate them. I previously mentioned the Escapist's need for an adult mentor. If you really want to reach an Escapist, become this mentor. Ask the Escapist to recommend a book they loved to you. Then read it! Ask questions and talk about the book together. Many Escapists are intellectually different from their peers, and they know it. Do not make this worse by constantly encouraging them to be more social than they are or acting like there is something wrong with them if they don't want to interact with their peers outside of school. These kids are sensitive and intelligent. If they are introverts on top of that, they are probably exhausted by lengthy interactions with their peers. School is that lengthy interaction; when they get home, they need to decompress. Yes, I know I've been very general in this description. I imagine I may get some push-back from adults who are worried about their Escapist or who think they should spend more time socializing and less time immersed in a book. As a mom, I do understand that--worrying about our children is a huge part of the job description. I've worked closely with Escapists in my library for 13 years now. The library is their favorite place in the building. Because the library is their "happy place," I have had ample opportunity to work with kids like Tony, Benjamin, and Sam. They and many other Escapists are sensitive, intelligent introverts living in a very chaotic, extroverted world. That's exhausting for an introvert, and reading is how they have chosen to turn off all that noise. Worrying that they are not "social enough" really does nothing to make them more social; rather, it causes them anxiety and makes them want to retreat into their books even more. As parents and educators, my best advice for dealing with Escapists is to relax, allow them to be who they are, and let them read. Did I get it right? 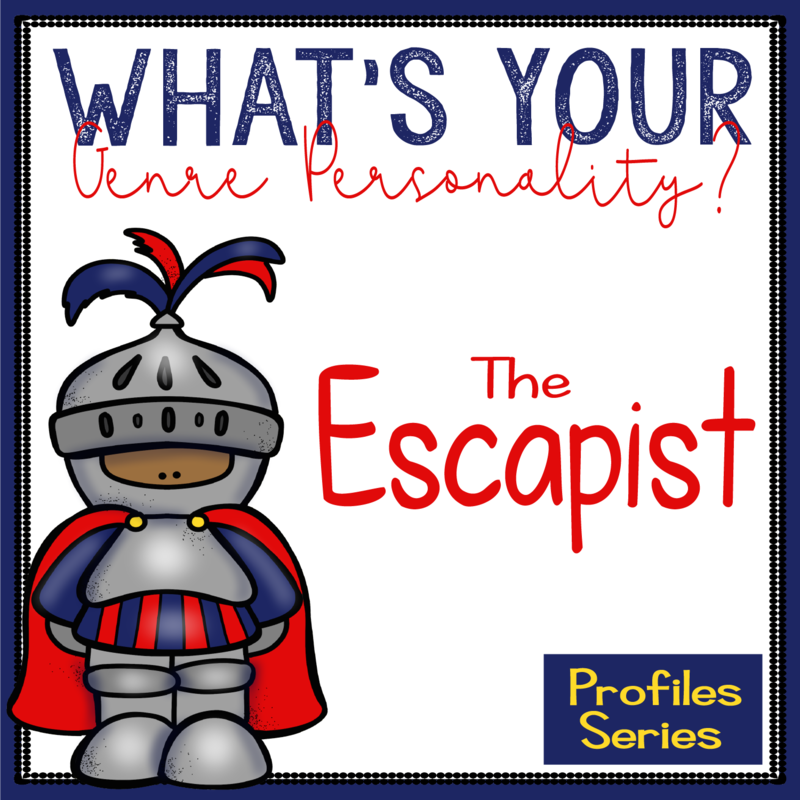 Does this profile describe the Escapists in your school? A very interesting article. Thank you!